Set Up - Two 15by15 yd squares next to each other. Two target man, one at each end. 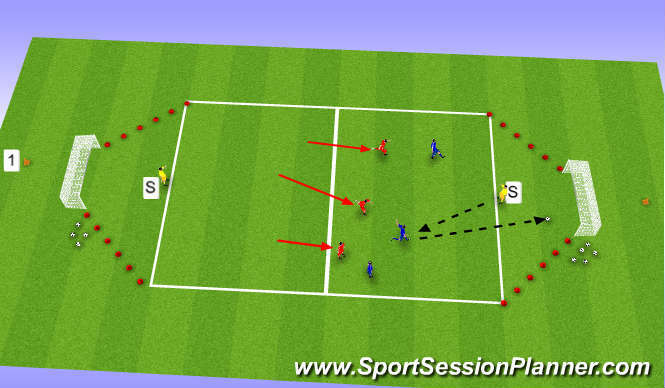 Players play 3vs3 in one square and attempt to move the ball to the target man at the other end of the other square. 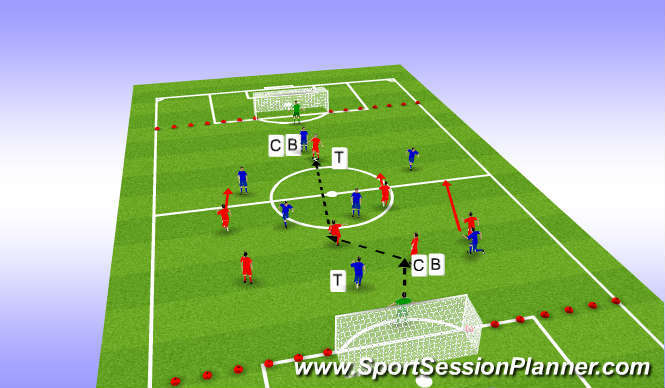 Once the ball is transferred all players must move into second square to remain active. The Target man returns the pass to the team in possesion (blue) who then look to turn and transfer the ball back to the original target man. 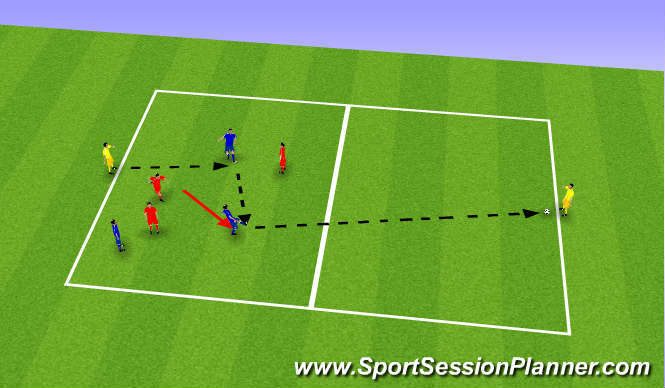 Aim - Keep possession and look to move the ball up to the target man to create a goal scoring opportunity. Move up and down the pitch to either support the target man or if defending, protect against a goal scoring opportunity.